“Hello, this is your copilot. Our captain is being detained. I mean, he is… uh…on a potty break. We unfortunately are not going to make it to London. We were told by flight control that the nice young couple in 23 A and B thought we would be happier visiting Paris and seeing the Eiffel Tower, so we are going to be accommodating, not rock the boat, so to speak, and fly to Paris rather than London. We hope you will not be inconvenienced and yes, I do realize that it already after 10 AM and that we are already over twelve hours late, and yes, I’m hungry too. Oh, and we do apologize for dinner, as you discovered, they not only removed all our meals, but replaced them with vitamin pills. But they did say that they had it on good authority that we would be better off with the pills They said that you might feel worse for a while, but that it was a good sign and you would be better off in the end. Some good news: the flight attendants tell me that they should have at least one of the lavatories back up and operating soon. As absurd as this little vignette sounds, this scenario rather replicates the trip many of you are on. You came to NACD because we shared your vision and goals for your child. We had the same destination and created a course. You came to us so that we could pilot you through the storms and get you where you wanted to go. You chose us because of our track record, our unique history of success, our incomparable experience, our eclectic philosophy, and most of all, the tens of thousands of our children all over the world who are demonstrating that you can expect more, get more, and who are redefining potential. At NACD we have one and only one agenda, which is to help you reach your goals for your children. We don’t bring in a dozen folks and ask each to look at a piece of your child and establish their personal goals and incorporate their personal small bag of tricks. And we don’t have limited expectations based on relatively limited experience, funding, or perspectives. For over thirty years we have been gaining unique experience, knowledge, and insights, have been adding to our already over 3,000 techniques, and have continued to develop new tools as needed. We operate from a parent’s perspective, your perspective, which is essentially that we can never do this well enough or fast enough and thus are in favor and supportive of everything that works. Not everything, just everything that works. Please help us do our jobs and let us help you coordinate the pieces and keep us going in the right direction. 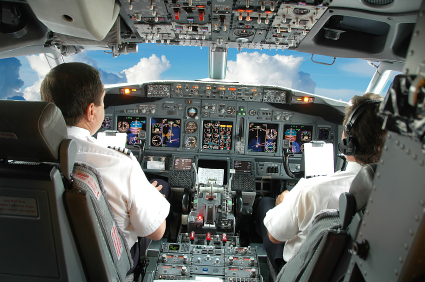 When you fly, your plane’s computers and pilot are making constant course corrections to get you where you want to go when you want to get there. Please communicate with our crew, your coaches, often so we can help guide you and keep us all on course. The more we veer off course, the less likely we are to get where you want to go. Get help, get good help, but let us help coordinate the pieces and keep us heading in the right directions. Your goal is our goal; your destination is our destination. We’re not here for the next few hours, the next month, or even just the next year; we’re here for the whole trip. Please communicate with your coaches and with your very experienced pilots/evaluators and let us help you coordinate all of the pieces and help you reach your goals. You’re not another passenger on this flight– you are the one defining the destination, and our job is to help get you there. Good luck if you fly without a pilot. We hate finally hearing from a family after weeks or months, only to discover that someone has pointed them in the wrong direction. Communicate–we know how to fly the plane, we know what buttons to push and which ones not to touch, and who probably shouldn’t be in the cockpit. Choose the destination, but let us fly the plane for you. Piloting isn’t an easy job, but trying to do it without all the information or with others nudging the plane in another directions can make it impossible. Let’s get there before you run out of gas. Our success is defined by only one thing–your child’s success.